I am a little behind on posting but, “mas vale tarde que nunca”. And now I am on a clean eating spree so it is good to go back and reminisce about the amazing food we enjoyed on our trip. After we left the small city of Chaves my wonderful partner decided to take us on a drive through the beautiful Douro Valley, famous for it’s gorgeous scenery and internationally renowned wine production. The whole region is filled with “Quintas” or wine producing farms. Many of which are built on slopes to protect the vineyards from the humid winds. Before stopping in the town of Peso de Règua we took a short detour so my love could show me the ¨lock¨ that raises and lowers the boats in order for them to pass through the different levels of water in the Douro River. I had never seen a lock before or my memory is blocked. I was so amazed by how it worked (and freezing cold) that I forgot to take a picture! But you can look it up on the internet or watch it https://www.youtube.com/watch?v=_MDEG5p3IwA here! This one has an 89 foot drop. My next trip (besides going back to the USA) is a boat trip on the Douro. 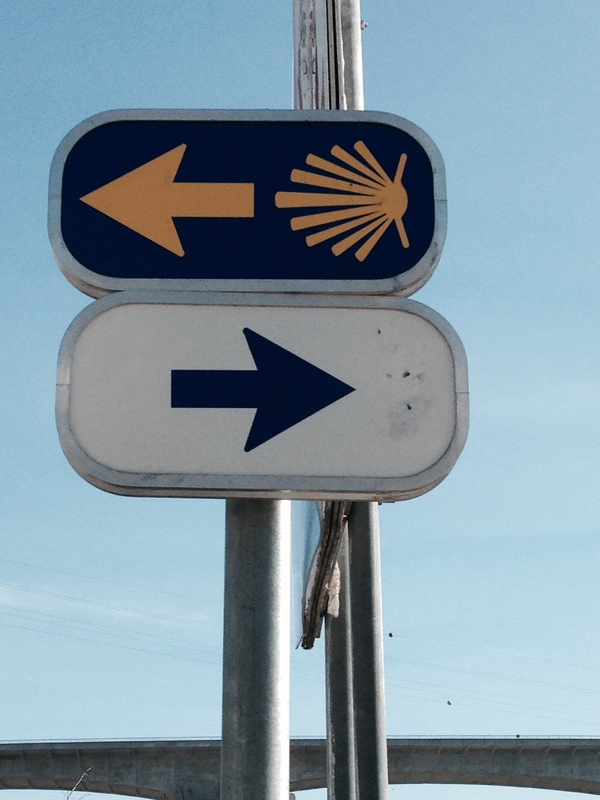 We were a bit tired from New Year’s Eve and very hungry so we stopped in the town of Règua for lunch. 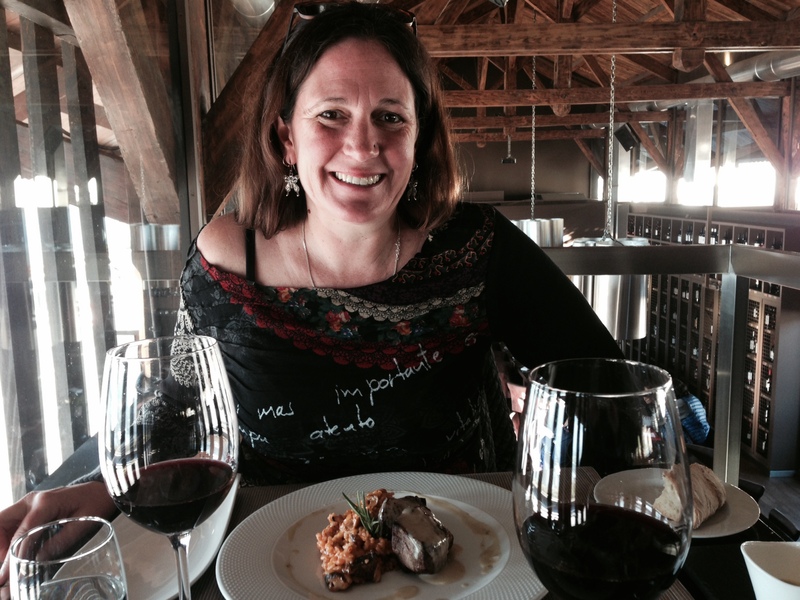 We found an excellent restaurant, Castas e Pratos, that was built right in the train station. Being New Years Day they had roasted baby goat as a specialty. It was served with the most delicious rice, roasted potatoes and sauteed broccoli rabe. 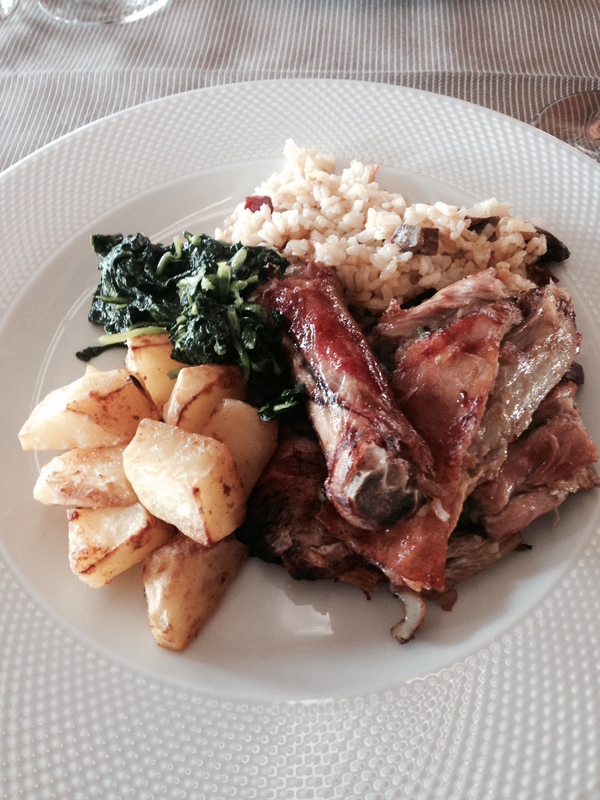 In Portugal everything has to be served with potatoes and rice. Atkins would not be happy. 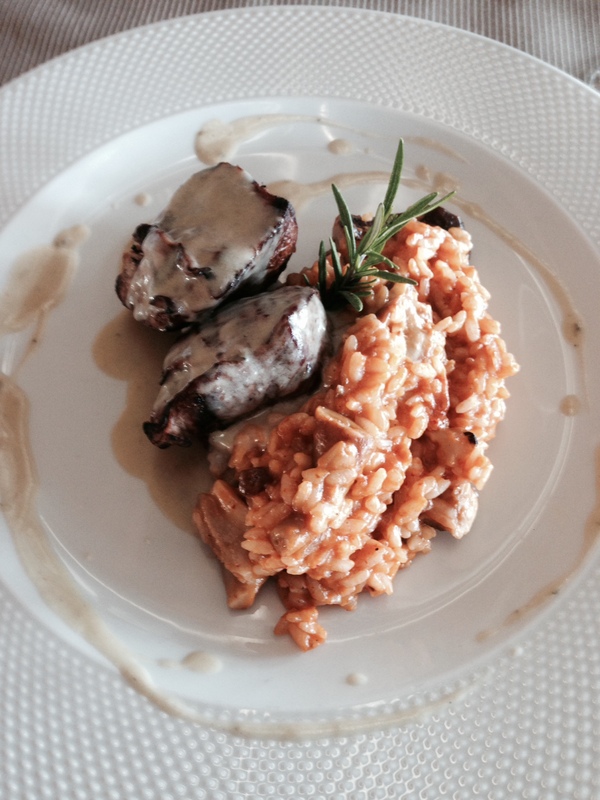 The other dish we ordered was filet mignon with a gorgonzola sauce and risotto with wild mushrooms. Surprisingly not a potato on the plate. 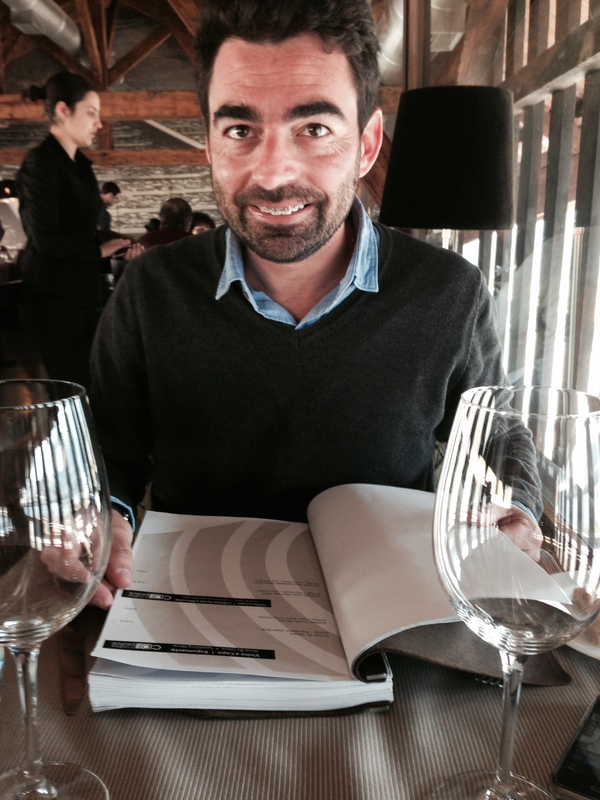 The wine list was a book, being in the Douro region. The service was impeccable and we enjoyed every moment. We can´t wait to go back! !